RuthLily Writes : Review! : Books I read in May: Vivian Versus The Apocalypse, Half Wild, Tribute, Liberty's Fire. Review! 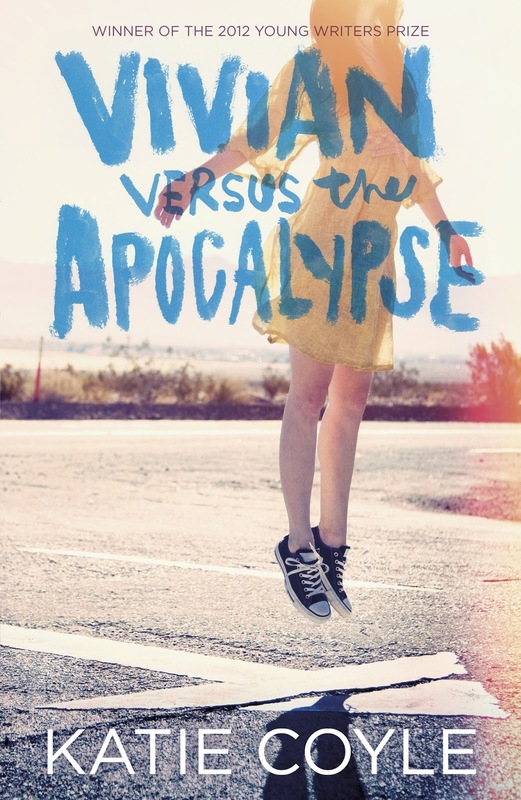 : Books I read in May: Vivian Versus The Apocalypse, Half Wild, Tribute, Liberty's Fire. The month of May was a good book month for me. I had lots of lovely books from Hot Key Books to read, and knocked a couple off my TBR list too! My review for Janis Mackay's Wild Song is already up on the blog here, it was great, I loved it. I also read Vivian Versus the Apocalypse by Katie Coyle, the sequel to Half Bad, Half Wild by Sally Green, Tribute by Ellen Renner, and Liberty's Fire by Lydia Syson. 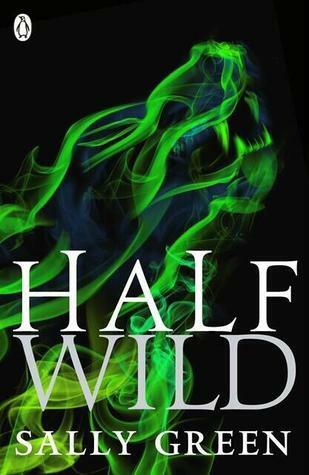 The sequel to Half Bad, which I read in April, picks up where it left of with Nathan in the forest having received his three gifts from Marcus. Nathan is much less alone in this book, travelling with his motley crew of Gabriel, Van- a powerful Black witch, and her assistant Nesbitt, on his mission to rescue Annalise from the clutches of Mercury. Nathan is convinced by Van to join the rebel alliance of White and Black witches in Europe fighting against the bigotry of the Council of White Witches, which is now led by Soul O'Brien. The movement and flow of this book is great, there is growth and action and many a sweet moment. Nathan and Gabriel's relationship is one of the best things about it, with THAT moment at Mercury's lair. Annalise and Gabriel representing different sides to Nathan and his struggle with his identity as a half white/half black white is excellent. As is his navigating of his relationship with Marcus as he learns to control his gifts. I am SO looking forward to the next in the series, which is a WHOLE YEAR away, and I will get around to reading the little novelette Half Lies: A Half Bad Story at some point too. 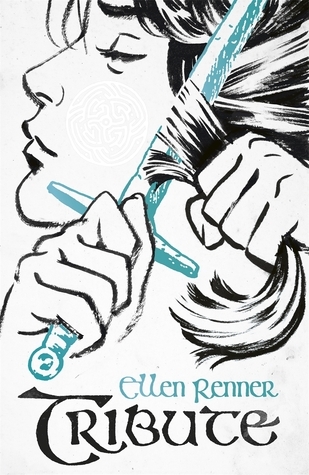 This is the first book of two in the series so far, by Ellen Renner. It follows the story of Zara and her life as the daughter of the Archmage Benedict, against whom she seeks revenge for killing her mother and sister. Zara lives in a world where magic people are the ruling minority, keeping the non magic 'kine' repressed by forcing them to give their first born children as 'tributes' to serve the mages, and to fight on the wall, in the war against a neighbouring city. She secretly works for the Knowledge Seekers, an underground group of non-magic people who are working to overthrow their oppressive rulers. I was a little disappointed by this book, mostly I felt Zara's motives for rebellion weren't clearly explored and her romance with the Maker held captive by her father was one of those annoying they've-met-twice-now-it's-true-I'll-die-for-you-love. I felt like more time spent in setting the scene at the beginning might have been beneficial. We learn everything for Zara's inner monologue and flash backs to memories of her childhood. I maybe would have enjoyed more information being learned through teachers in the classroom or overheard conversations or books snuck out of her father's library. More time spent on Zara's normal life, before everything kicks off, might have helped in understanding why she wanted so strongly to leave and seek revenge. Twiss was a great character though, part of the underground world of Thieves, who actually have their own kind of magic. She was frustrated and clever and seemed to have that motive that I felt Zara lacked. Now everything is set up however, the second book Outcaste might just offer that deeper level of understanding as Zara's journey continues. 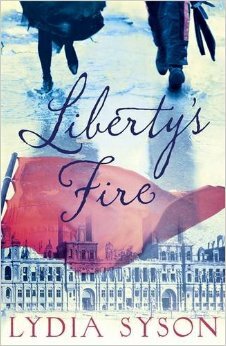 Set in the Paris Commune of 1871, Liberty's Fire follows the interconnecting stories of four young Paris residents. There is Zephyrine, a young woman whose grandmother, with whom she lived in Montmartre, has died during the Siege, in her desperation for money for the burial she almost sells her body on the street, but as two men quarrel over who saw her first, she is saved from the situation by a young violinist, Anatole, who takes her to the refuge of the Theatre he works in. Marie, a young opera singer from a wealthy family, is a friend of Anatole's from the Theatre, and is in turmoil about her brother, a soldier captured by the Prussians. Anatole lives with a wealthy American named Jules in a good part of town, where Jules has his own photography studio. While Zephyrine and Anatole are drawn in to the call of the Commune, Marie and Jules are more concerned with their own self preservation. I do love reading a bit of historical fiction, I knew nothing about the Paris Commune of 1871, nor of the French army turning on Paris, and nothing of the exile of Commune prisoners to New Caledonia for years. The action and mayhem of the Paris falling was beautifully portrayed, with the four characters trying to return to each other. The ending, taking place years later in London, was perfectly non-indulgent.